It is with great pleasure that ARTinfoINDIA.COM introduces the exhibition, ‘Faces & Portrait 2017′ carefully put together to create a common platform for the artists across the country and to celebrate the power of our visual idioms. Lokayata Art Galley, Hauz Khas Village, New Delhi. This show ‘Faces & Portrait 2017′ reveals aesthetic emotions and cognitive state of mind of an artist be it a painter, photographer or a graphic designer. 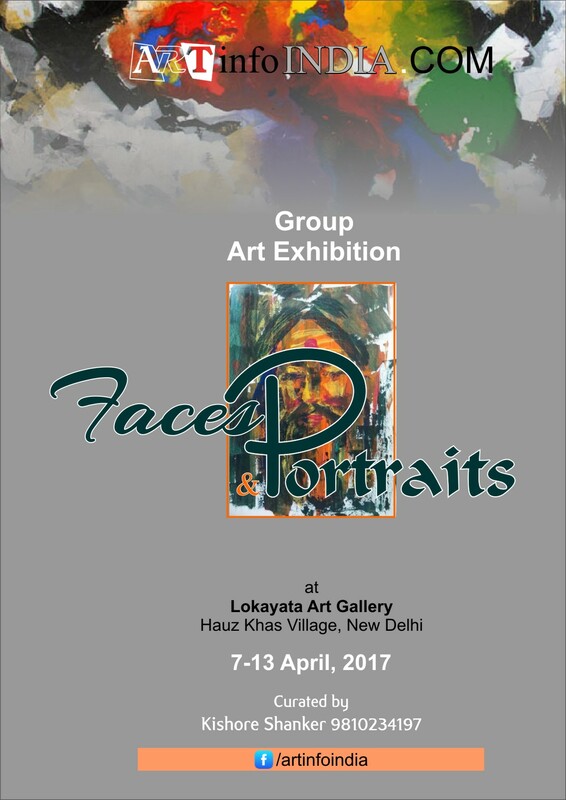 ‘Faces & Portrait 2017′ is an exposition by 36 artists of India displaying varied mediums of their visual languages like paintings, drawing, photographs and graphics. ARTinfoINDIA.COM, an organization dedicated to the field of Visual Arts in India is based in Gurgaon- Haryana. It has been managed by a team of artists and professionals and been actively promoting art in its original form. We have been active in organizing various art events as exhibitions, workshops, projects and ardently working to bring awareness among young children and youth through programs like children workshops and competitions. We have recently hosted the 5th All India Art Competition for School Children ‘Tiger-The National Animal’ to sensitize / motivate / educate young and budding children through art towards the importance of our National Symbols.